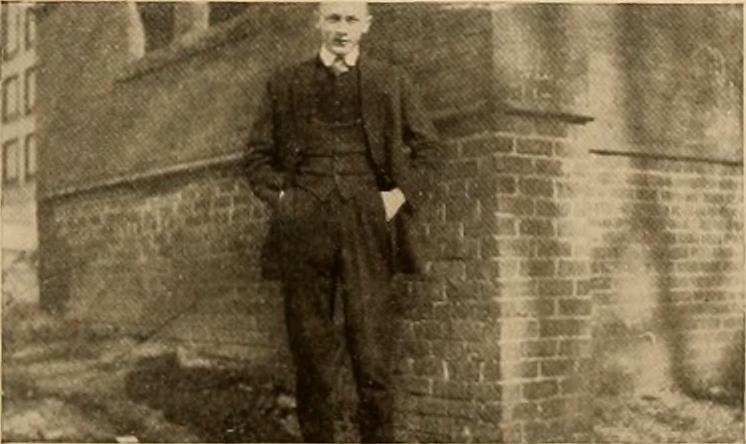 nry College,1915; Captain Graham House Football Team, 1915;Saturday Night Club; President Anarchist Club; FinalSenior Orator. 1915; Editor Political Science Quarterly, 1915. CAR^ JOHNSON Caiy is one of those who waited until one year was past before making his debutinto the Class of *I5. But not handicapped by this, he started out with a vim, andstands now as one of the sharks among his dignified and venerable class-mates. A man of unlimited possibilities and capabilities, he gains all things with an easethat fails to call into action the full extent of his powers. His literary propensities havedubbed him a bookworm; and he keeps in his room a miniature model of the CongressionalLibrary—we hesitate to name the source. A wit, an orator, a Billy Sunday, a Romeo,are some of his distinguishing characteristics. Cary has grown in our affections by his lovable disposition and qualities of adaptation.He is democratic, a deep thinker, a philosopher and an optimist—truly a potential factor.